The perfect blend of stability and agility. From flat water to whitewater to river surfing to beach surfing, you will feel the design differences that make Hala inflatable SUPs stand out. 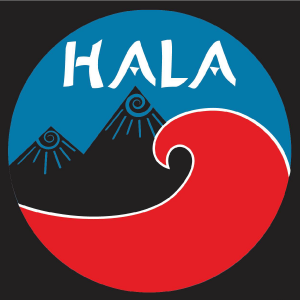 Made from the highest caliber material in manufacturing, Hala takes the extra steps to reinforce their boards in key places so that they are as rigid and functional in your application as you need. They are the most fun and responsive inflatable boards you will ever ride. Easy to store and to transport. Lighter and more resistant to bumps and abrasions than traditional epoxy or fiberglass designs. Roll neatly into a bag that you can take with you all over the world if you so choose. If you don’t see what you are looking for below, please email us and we will be happy to help you find it. Click on the paddle board title for more information.